What do general contractors, property managers and developers look for in a commercial landscape subcontractor? Ability to meet stringent timelines? Landscape Associates has the knowledge and expertise in the construction industry to fulfill all these needs and many more. We are here to partner with you to help your company produce a quality product efficiently and within budget. From the detailed and intricate installation of residential communities to the large scale plantings of a commercial or industrial job, our installation teams have the knowledge and ability to tackle any landscape installation need. 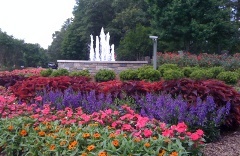 Whether from the desire for a new look or out of necessity due to time, even the best landscape designs and installations need to be refreshed. Landscape Associates is a multi-disciplinary consulting/contracting firm that can provide clients of any size with professional services that are unsurpassed in the industry. The ability and expertise of our staff allows us to take your ideas or plans from concept to plan development on to completion; transforming a design into a sound and aesthetically pleasing landscape. 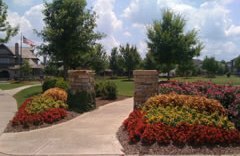 From full scale landscape makeovers of commercial properties and apartment complexes, to straightforward jobs like grading, new turf or new flower beds — we have the ability and desire to exceed your expectations. As a customer of Landscape Associates, Inc. for the past four (4) years, it is with great satisfaction that I can share with others the transformation that they have made while working on my properties. Lisa Swick CAPS Regional Manager, Steven D. Bell & Company. Copyright © 2019 Landscape Associates, Inc.